Community Care is committed to tracking data on various measures to gain understanding on areas we excel in as well as areas that can use improvement. Below you will find several examples of the data that we are tracking. 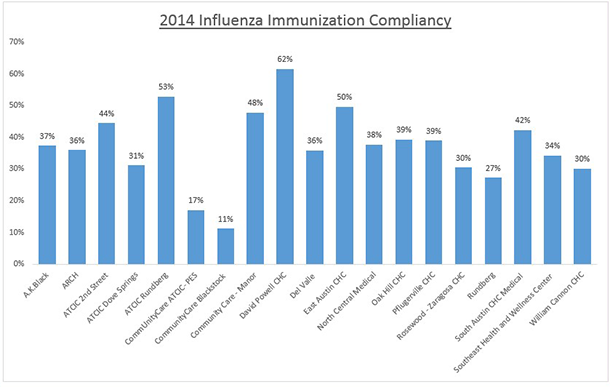 Influenza vaccines: The health of our patients is very important to us. We aim to provide flu shots to all of our patients as a preventative care measure. 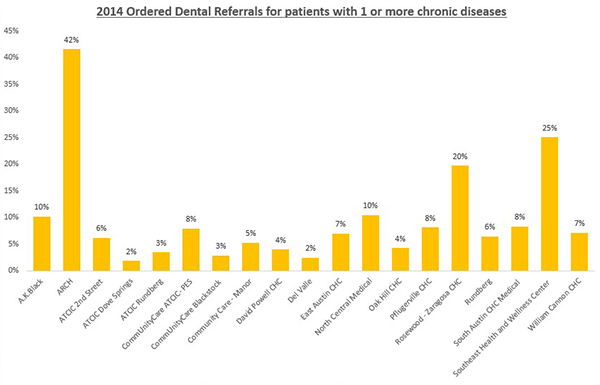 Dental Referral for patients with 1 or more chronic diseases: We understand that our patients’ dental health is important, especially with those who have 1 or more chronic disease, so we aim to coordinate dental care for those patients. 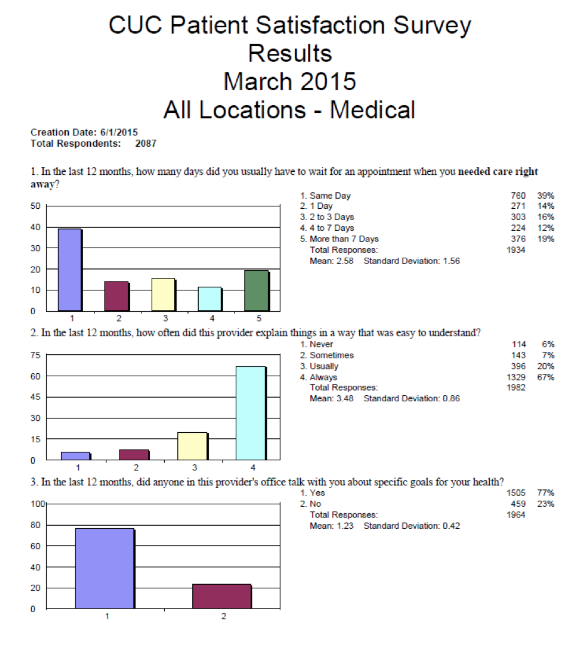 Patient Satisfaction Survey: We value the feedback from our patients here at CommUnityCare. We conduct a patient survey once a quarter.